Though there have been several Team Fortress 2 ARGs over the years, the most recent in June 2015, nothing on this scale has happened since the Potato Sack event. And if you were around, you might recall that the PotatoFoolsDay event ended with the announcement of Portal 2. 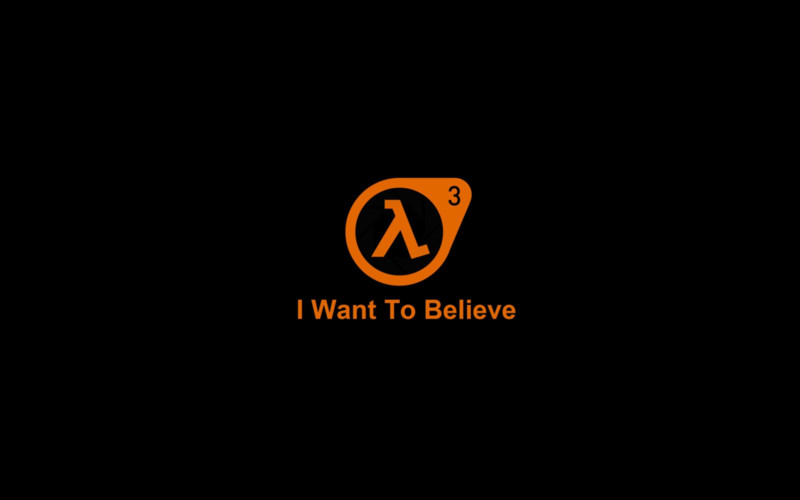 There is nothing explicitly pointing Half-Life 3‘s announcement… yet. 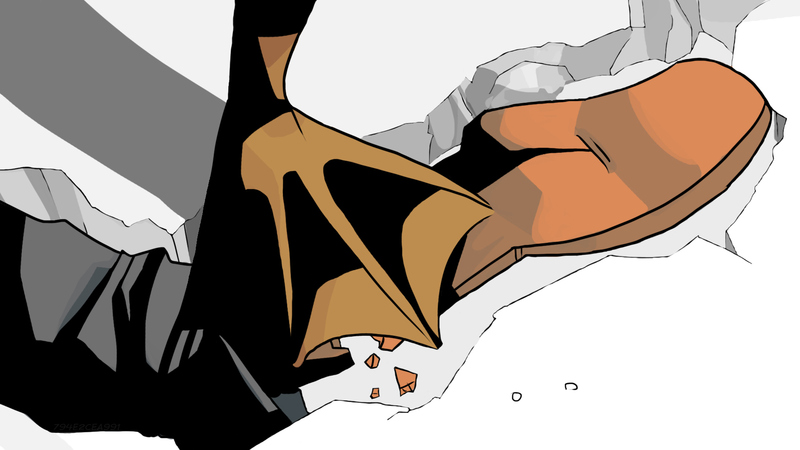 However, there sure are a lot more Half-Life themed clues than usual this time round. Similarly, the Potato Sack ARG also had many clues directly related to Portal. So we’ll let you be the judge. Here’s a quick run-down of the clues unearthed so far, as of the 1st of January 2016. The comic cover contained a bar code that resembled Hitman’s Agent 47’s serial. By typing SEARCH into Hitman Codename 47 app page (browser, not client) and then entering the code “940509990147” into the box that popped up, it would return the code “ic/4f21ca7”. After this, the comic cover updated to show the bar code torn off. Searching for “Blitzen Incident” redirects to the Grim Fandango Remastered app page. Remember, this only works on a web browser, not the Steam client. All you need to do is to type “search” into thin air and then press enter. Using the password from the comic “hot toddies and maseratis” redirects to Undertale. There, the password “bullet hell” (discovered by chance!) redirects to Ikaruga. UPDATE (3rd Jan, 00:15am GMT): A new soundfile has been found. You can extract what the voice says as being letters of the phonetic alphabet, which form an anagram of ‘BULLET HELL’. This was the password for a previous stage of the ARG (see below), which was discovered by pure chance before, so it’s probably not going to lead to anything new in the long run. By looking at the sound spectrum of this file, the code “1v7531” is retrieved. By entering that into the Ikaruga app page, a red herring badge is granted. Also! 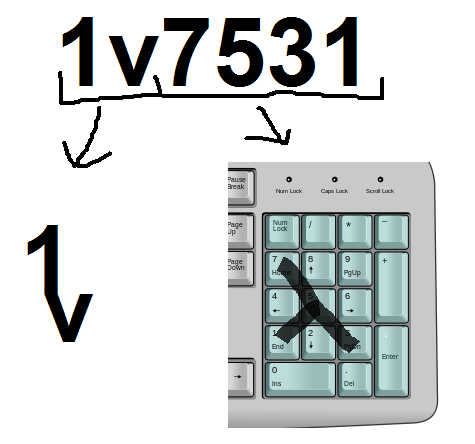 The 1v portion of the code forms the picture of a crowbar, while 7531 kinda makes a lambda when traced over a keyboard pad. UPDATE (2nd Jan, 22:10pm GMT): We are going to dismiss the ‘1v7531‘ / ‘AVGECA’ word theory that we previously reported from r/HalfLife as an unrelated coincidence. The site giving the definition appears to list the meanings of numbers to any random collection of letters, and seen as there’s only 9 numbers it makes this highly likely. There’s also genuine Adsense ads running on the site, something Valve wouldn’t do, neither would they bombard some random website they don’t own with high traffic. 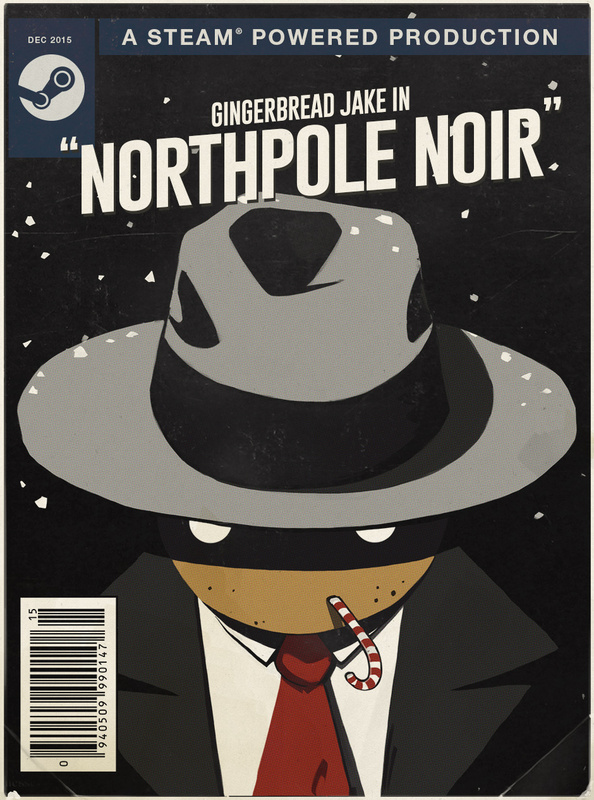 The artwork on Card 2 of the Steam Holiday Sale Trading Cards has been changed. 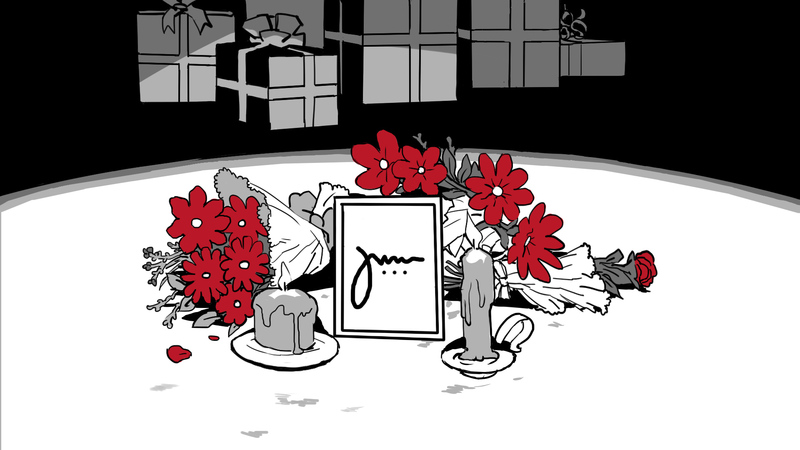 Instead of a white body outline, there is now a flower memorial and a picture frame. Inside the frame is a glyph with three dots. No one knows what it means yet. Card 6 has the 794E2CEA991 hidden it, but no one knows what it means either. If you enhance the image in a photo editor, the code can be found in the bottom left corner. Page 5 of the comic features a card with Chinese text, which translates to “may everything exceed your expectations”. You can be the judge of what that’s supposed to mean. The word fragment “nnesse”, or portions of it, appear hidden in pages 2, 3, 4, 8, and 11. It’s not known what it means although there’s a few theories floating about. 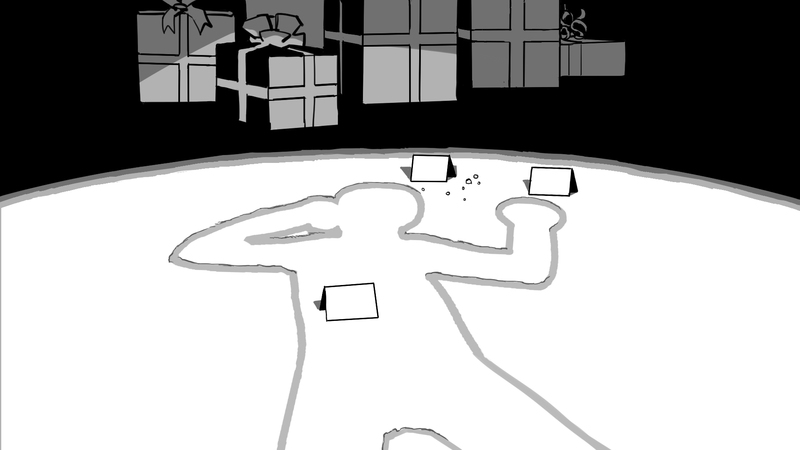 The Santa Baby profile background shows a hidden lambda and crowbar on the top left when enhanced. Instructions on how to find this yourself here. 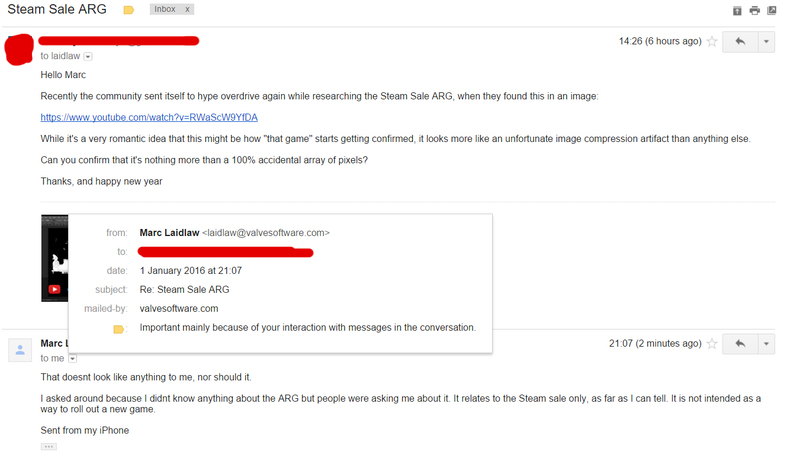 We got in touch with Marc directly to clarify if this email was genuinely from him, he confirmed to us that it is real. Sorry guys, that might have just put an end to the Half-Life 3 hype. Then again he most likely wouldn’t be able to confirm anything anyway, plus you never know. 8. Arctic Circle Theme – Borealis Connection? Update (4th Jan, 15:30pm GMT):: Again, the folks on /r/steamsaledetectives have discovered a new potential clue. 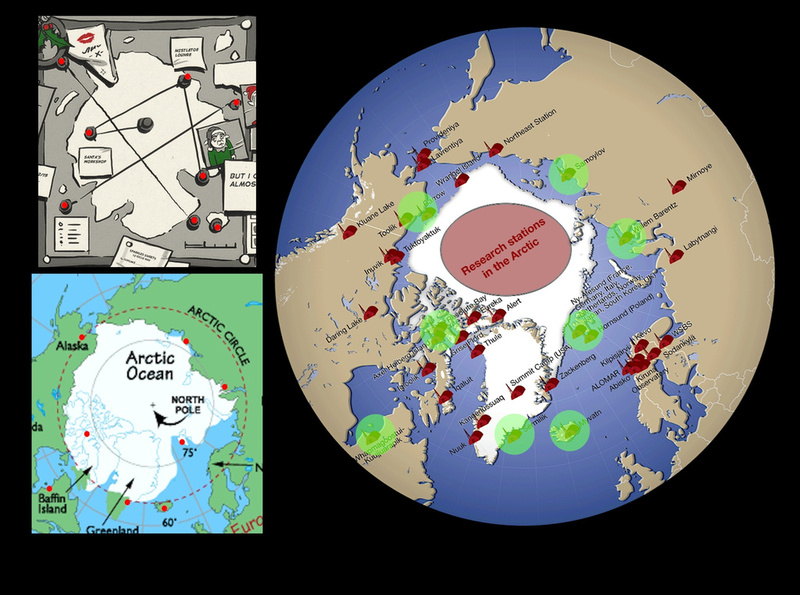 There is a notable correlation between the points on the arctic map shown in the comic (above) and the positions of known [real life] research bases in the arctic. This has of course intensified the whole Borealis connection theory within the Half-Life community, but we will see where it leads. So what do you think? Do you think this is it? Has the time truly come? UPDATE (2nd Jan, 22:40pm GMT): We previously mentioned a few weeks ago that Valve are doing a ‘Content Showcase’ at CES 2016 next week, on January 6th-9th. This page on HTC’s website is showing a picture of ATLAS from Portal 2 alongside Steam VR, could this event be related to whatever the ARG will lead to? Valve Employee Chet Faliszek just Tweeted out this and this too. Credit goes to everyone in the community who has been working hard investigating this. We’d specially like to thank all those, including Sycorax_, for working on this comprehensive document and everyone on the /r/steamsaledetectives subreddit. 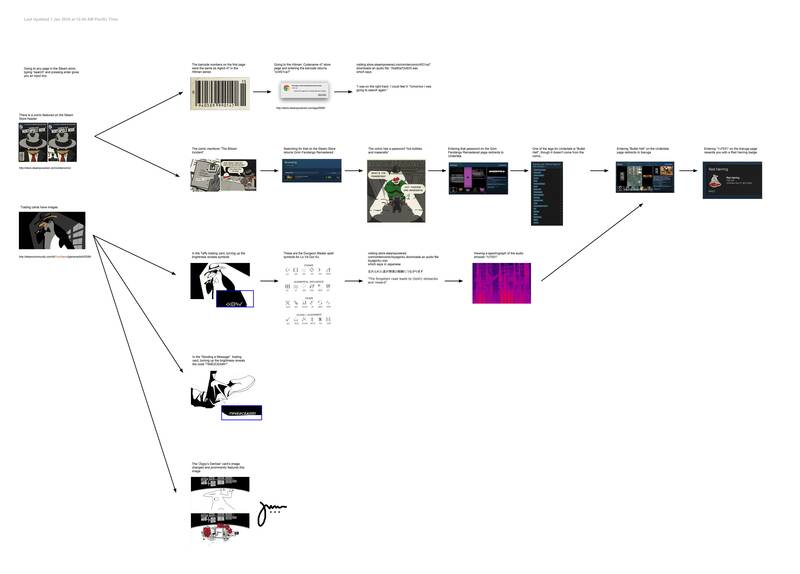 Also check out this visual diagram of the ARG, created by reddit user thealphamike. You can keep updated on future developments by checking them out, also make sure to follow us on Twitter @LambdaGen. Trading card 6 looks like a bird foot to me? Is it standing on a broken arm in the snow? If this isn’t half life related, this is very sadistic from valve. This is the frst time i have some hope for HL3. Can’t wait ! 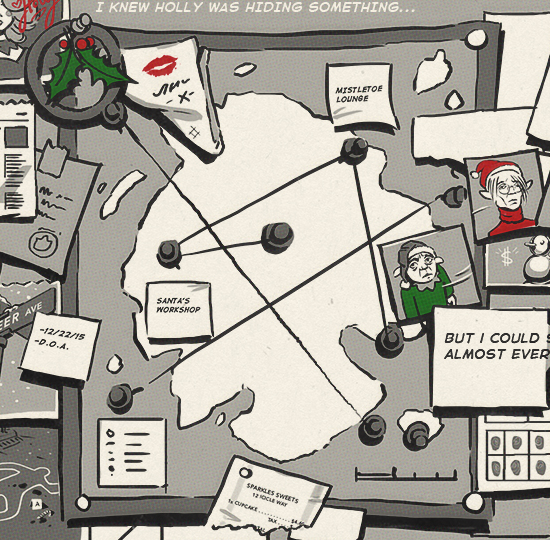 btw, that’s not mistletoe, it’s holly, maybe more relevant to the text. I’ve saw some reddit posts explaining things for newcomers, but this article is the best, nice work. Also, /u/sycorax_ didnt find most of these out, he just listed them. Updated the article with a link to the theories. Also fixed up the sycorax_ credit. That’s true! Nearly 20 people have writing access to the Google Document. Everyone of them would deserve a mention! It’s an amazing effort, from everyone who’s investigating it.